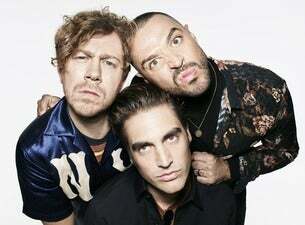 Pop-rockers Busted have announced they’ll be bringing their Half Way There Tour to arenas in March 2019. The tour will coincide with the release of their brand new album Half Way There. Formed in 2000, Busted were one of the biggest pop success stories of the early noughties. During their initial run, the band released four No.1 UK singles, two multi-platinum albums and won two Brit Awards. Their wildly successful debut album Busted spawned five hit singles – What I Go to School For, Year 3000, You Said No, Sleeping with the Light On and Crashed the Wedding. The follow-up to Busted, 2003’s A Present for Everyone was also a huge success and featured the singles Who’s David, Air Hostess and Thunderbirds/3AM. The record was the last the band released before their split in 2005. Following months of speculation, Busted confirmed their reunion in November 2015 and in 2016 set out on the Pigs Can Fly tour, selling out arenas all across the UK. Later on that year the band released their third album Night Driver. The record marked a departure of their previous sound, incorporating more synth-pop elements. Busted are currently gearing up for the release of their fourth studio album Half Way There. The new record is due on 8 February 2019 and promises to see the trio return to their energetic pop-punk sound. Don’t miss your chance to see them perform the hits, and tracks from Half Way There live for the first time when they tour the UK in March 2019.